The Mignon grinder features a 250 gr hopper with automatic temporized grinding. 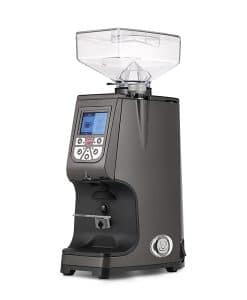 For combination of rugged functionality and sleek design, Eureka offers the Mignon Istantaneo Coffee Grinder for professional and discerning amateur baristas alike. 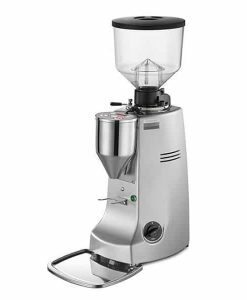 The Istantaneo features stepless micrometrical grinding adjustability to ensure the ideal grind, whatever coffee blend you are brewing. 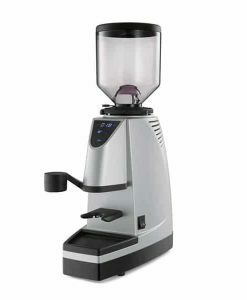 For convenience, the unit features a fork-style filter holder and an ergonomic push/pull timer knob and button-operated timer function. 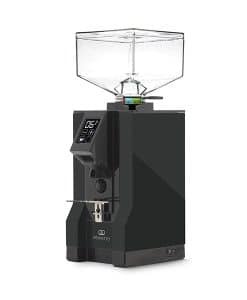 To ensure the right dosage for each cup, the Mignon is available either with timer-based dosing or with both manual and timed dosing. 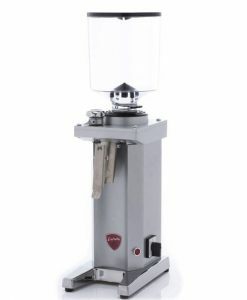 The fork filter holder is adjustable in two positions, ensuring easy, spill-free coffee delivery. 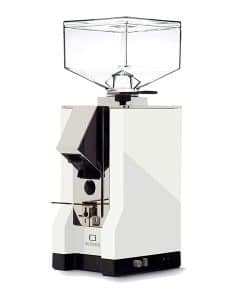 In line with all of Eureka’s designs, the Mignon is designed for straightforward use and easy cleaning and maintenance. True to Eureka’s commitment to style alongside functionality, the Mignon Istantaneo is available in different colours. 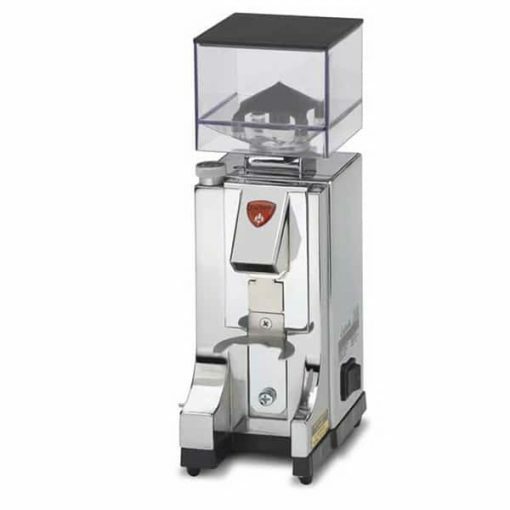 As the name suggests, the “Mignon Istantaneo” is above all designed for simple and quick operation. 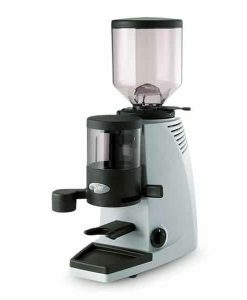 With fewer high-end functions than some of Eureka’s more deluxe models, the Mignon is instead Eureka’s reliable powerhouse of a coffee grinder. 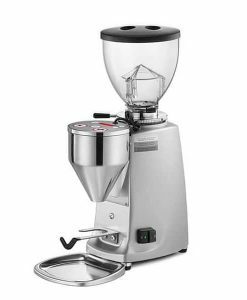 Micrometric stepless adjustment makes it possible to grind coffee beans to the most exacting specifications. 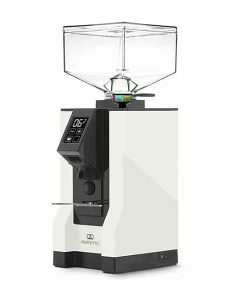 The Eureka is an unusually small device for its quality class, making it suitable for smaller coffee bars as well as home kitchens. Hopper capacity: 250 g Made of clear Kostil Food approved. Grinder blades: Ø 50 Made of hardened steel. 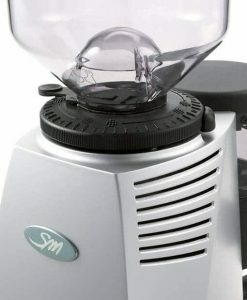 Grinder control: micrometric rapid regulator. Body material: Aluminium Chromed panels. Burr material: Harden Steel flat burrs. 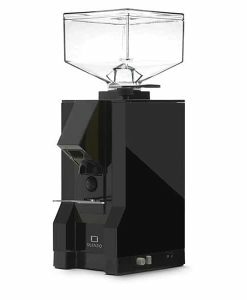 Dimensions (W x D x H hopper included): 152 mm x 159 mm x 324 mm. Power: 240/50 Hz 025 Kw Single phase with overload thermic protection.